Your child will not only have a ball making this clown hat for a party, but also dressing up like a clown with it. 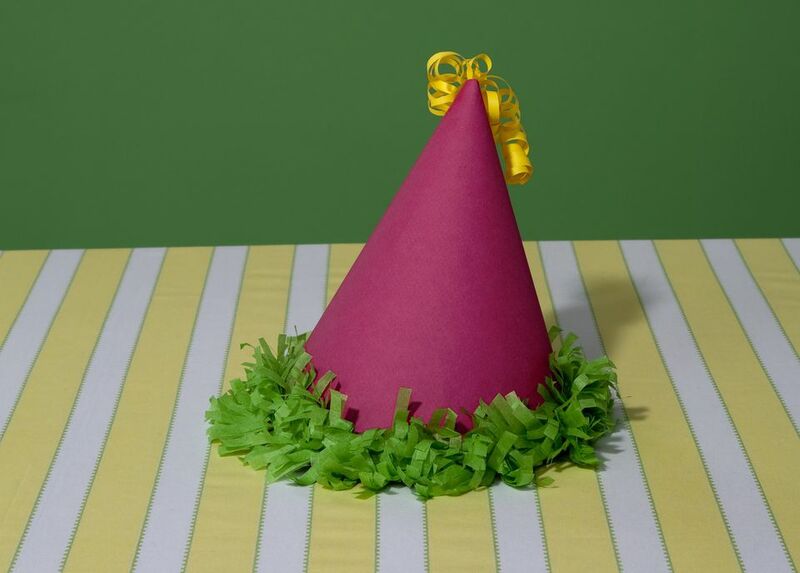 If you don't want to start from scratch, you can simply cover an old birthday hat using paper. 1. Cut a large triangle shape out of card stock or poster board. Make sure the bottom edge of the triangle shape can fit around your head. The bottom edge should be rounded and the top point should be cut off. Experiment with it until you can roll it into a cone shape to form the hat. 2. Lay your triangle on your work surface and decorate it using crayons, markers or paint. Once decorated, roll the paper triangle into a cone, fit the bottom edge around your head and staple or tape the sides together. 3. Staple or tape both ends of a piece of elastic onto the bottom edge of the hat so it fits under the chin. For a finishing touch, glue a pom-pom to the point of the hat.